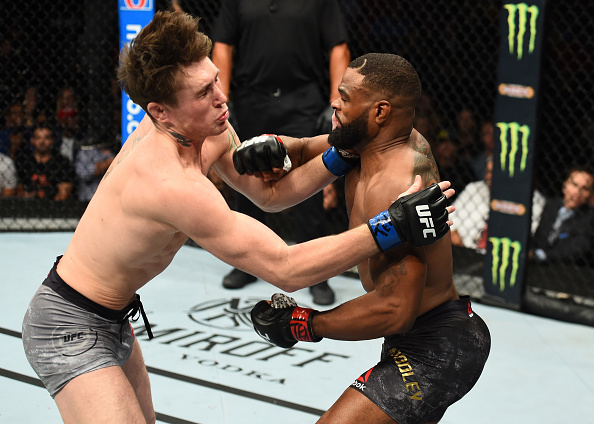 It just wasn't meant to be this time around for Darren Till who came up short in his attempt to land UFC gold. The Liverpudlian entered the fight confident and in high spirits off the back of a successful weight-cut that put all the doubters in check. The 25-year-old truly believed that he was the man to strip Tyron Woodley of the welterweight crown.  It did not work out the way the Scouser had envisioned though. After a tentative first round the champ came out in the second flooring Till with a right hand before piling on the pressure and locking in a D'Arce choke to secure a second round submission victory. 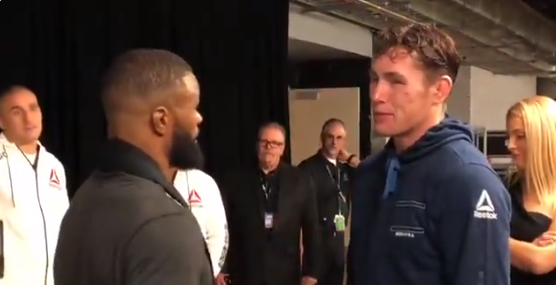 Whilst there wasn't exactly bad blood going into the fight, the two men did have some choice words to say about each other, with Woodley in particular getting upset about having to answer questions about Till's weight in the lead up to the bout. For Till it was a first professional loss, the young fighter faced the toughest test of his career in one of the UFC's pound-for-pound best. It probably came a fight or two too soon for him, but no doubt he will learn from the experience and come back better. 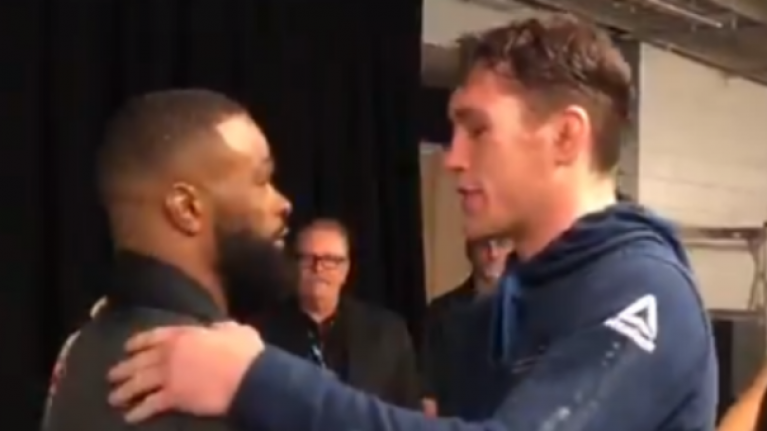 After the event, the pair met backstage were Woodley took the opportunity to give his recent opponent some encouraging words going forward. The welterweight champion can be heard telling Till 'you either lose or you learn', whilst also sharing with the young fighter that he himself was 10-0 going into his first world title fight, and without the loss he wouldn't be where he is today. The pair then hugged it out before going their separate ways. The footage really captures the two men in a different light than what we are used to seeing. 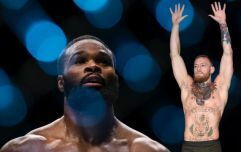 Tyron Woodley in the past has been subject to abuse from fans and fighters for openly complaining about his dealings with the UFC brass. However, this video shows us who Tyron Woodley really is. The Missouri native is a true champion in every sense of the word. He enters the Octagon, does his work, wins then goes home to his wife and kids. 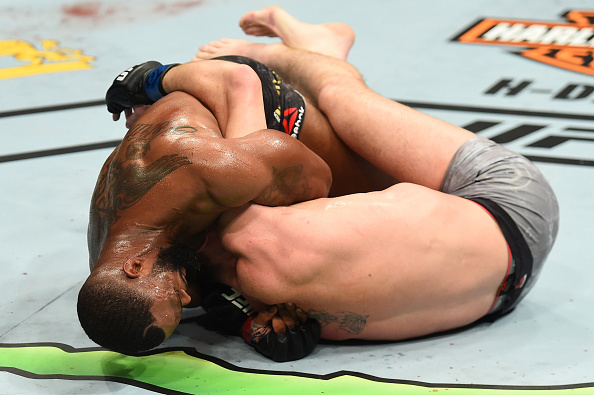 The mark of a true champion is staying humble, Tyron Woodley showed this ten-fold. As for Darren Till.. he will be back!